Kate Pendry (UK/NO) was born and raised in London, and has been living in Oslo since 1995. She has a formal acting training from Mountview Theatre School in London. Since arriving in Norway she’s used her classical theatre background in a wide range of artistic expression, including VR installations, performance art, curating art, live sound manipulations, radio, and of course pure theatre. She has performed one-person shows throughout Norway and Europe. 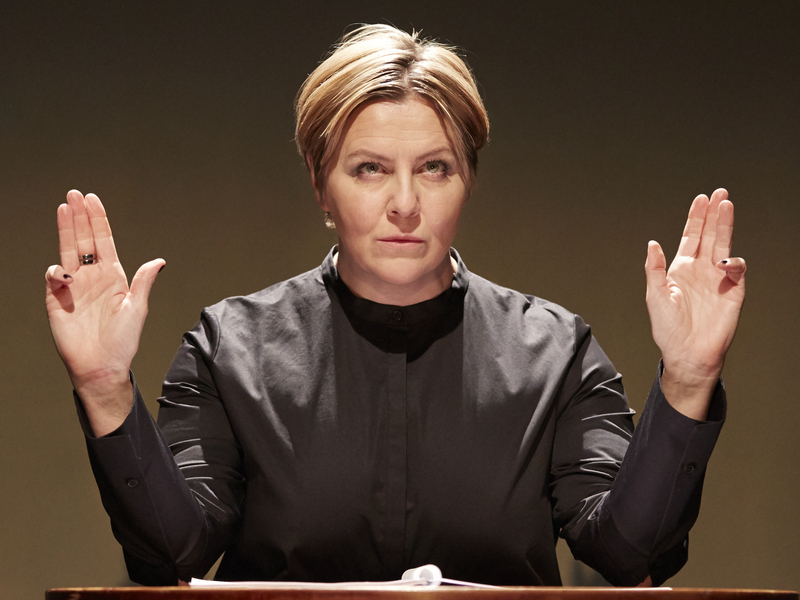 Pendry has twice been nominated for the prestigious Ibsen Prize for playwriting, winning the award in 2010 for her play about a (fictional) Norwegian school massacre «Erasmus Tyrannus Rex». She is a member of Winter Guests theatre ensemble, and have been playwright-in-residence at the Norwegian Centre For New Playwriting (Dramatikkens hus). Kate Pendry fremfører sin egen forestilling Human Tsunami: Trump den 14. mars 2018 på Cafeteatret. Les mer her. OIT og NBX leser korttekster av Kate Pendry den 8. september 2016 på Cafeteatret. Les mer her. Foto av Kate Pendry fra lesningen av The Agony and The Ecstasy of Steve Jobs.